Two years ago during the holidays I tried royal icing for the first time. It didn’t go well. I was hoping for cookies like you see above, and instead I got these. 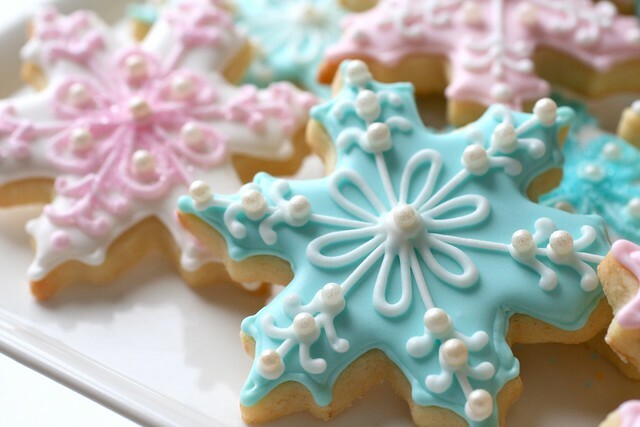 Thanks to the innumerable batches of cookies I’ve made since that first attempt, my royal icing skills and decorating speed have improved, and finally I achieved the pretty snowflakes I dreamed about. 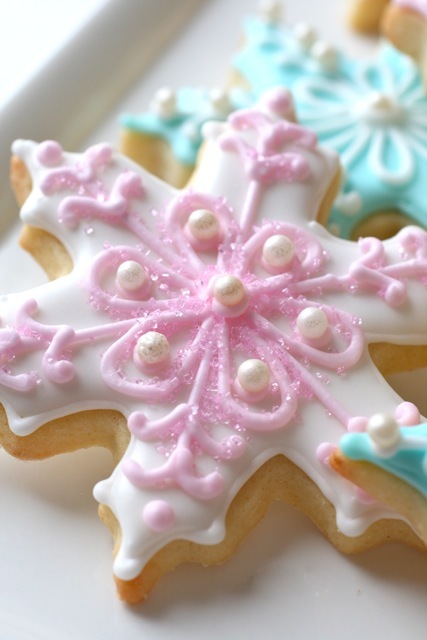 I served these for our holiday party this weekend and everyone kept commenting that they were too pretty to eat. But eat them they did, and they were enjoyed by all. 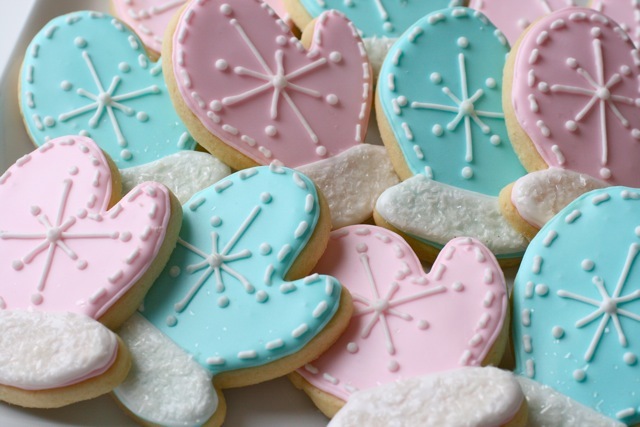 I also made a plateful of these cute little mitten cookies to coordinate with the snowflakes. I had left over cake sparkles and used them to make the cuffs of the mittens look fuzzy. 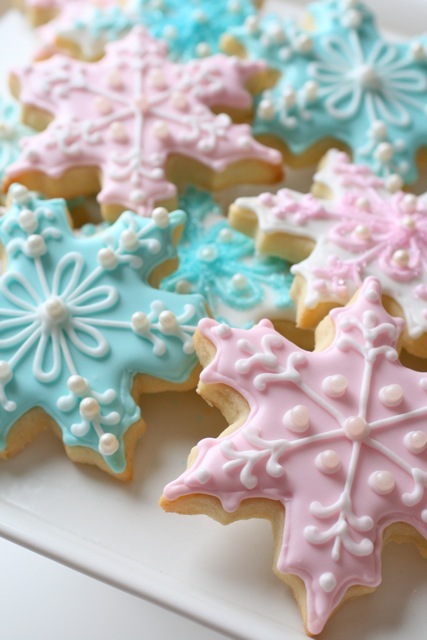 I had such fun making and decorating these cookies, and thought I’d share for anyone needing decoration inspiration. 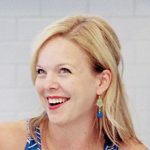 If you are new to royal icing, check out my tutorial to make your first attempt much more successful than my own. For the cookies, I used this recipe. Normally I go with a vanilla bean and lemon zest flavoring, but the almond extract is just better suited for the holidays. These designs were inspired by two totally gorgeous pink and blue winter party concepts I found on Hostess with the Mostess.